Leading the world in smartphone sales during the last quarter of the year, Samsung rang up 83.4 million handsets in the fourth quarter, according to Gartner. That was roughly 10 million more units than the manufacturer sold in 2014's fourth quarter. Samsung's share of the global smartphone market rose from 19.9% to 20.7% year-over-year. After Samsung and Apple, Huawei was third with a solid 8% of the smartphone market during the period. The manufacturer's market share was 40% higher than the 5.7% it had during 2014's fourth quarter. Sales rose from 21 million to 32.1 million. The company's first Nexus model, the Nexus 6P, was a hit. Lenovo and Xiaomi finished fourth and fifth, respectively. Both lost market share and suffered through lower sales. For all of 2015, Samsung was the leader with 320.2 million smartphones sold. While that was up from the 307.6 million it sold in 2014, the overall 9.7% gain in smartphone sales for the year reduced Sammy's market share from 24.7% to 22.5%. Apple was second with sales of 225.9 million iPhones, good enough for 15.9% of the global smartphone market. That was up from 2014's 15.4%. The rest of the top five for 2015 includes Huawei (7.3%), Lenovo (5.1% with Motorola) and Xiaomi (4.6%). Android (80.7%) and iOS (17.7%) combined to account for more than 98% of smartphone sales in the fourth quarter of 2015. Windows powered handsets accounted for just 1.1% of market share world wide in the October-December period. That was down sharply from the 2.8% share that these handsets had in the fourth quarter of 2014. Blame it on the long wait for Windows 10 Mobile, or you can blame it on Microsoft's lack of marketing even during a holiday shopping quarter. Whatever you think the reason is for Windows' poor showing, the bottom line is that the software giant is making no effort to grab any decent share of the market away from iOS or Android. Only BlackBerry's .2% market share in the fourth quarter prevents Microsoft from being on the bottom of the chart. Considering that Microsoft makes much more money by licensing patents for Android users than it does by selling Windows powered handsets, the truth is simple. Microsoft is only in the smartphone hardware game to show that it has some sort of presence in mobile, as minuscule as it is. Here's to hoping that Microsoft keeps churning out sub $100 Lumia phones. Which is a fraud. Just google. not necessarily google. just internet. lol!!! The $4 phone is useless. It has a 4" qHD display (960x540), with a Quad core 1.3 ghz CPU, 1 gb of ram, 8 gb of expandable storage, 3.2 mp camera, 3G, WiFi, and Bluetooth. Of course it doesn't have the latest and greatest specifications. However you are getting an Android lollipop device with no bloatware. So just remember people only have to pay $4. I just wish they had this device in North America. Only if I had $4, I would buy a six inch sandwich at Subway...Really???? You've got to be kidding me!! It's a scam.The actual device is manufactured by Adcom.Indian Govt. has issued a warrant against that fake company.So basically, your $4 won't give you anything. if lumias are jokes, 1440p amoled screens, sd cards, starting from 32gb, flawless os, ok apps not 1millon but no need. and now compare specs to most expensive phone 750p/16gb/no sd/ no wireless charging, etc,etc,. so this statement is a bit stupid. and yes i had lumia 930, then iphone 5s, now galaxy s6 edge. Lumias are not jokes. Windows 10 mobile is. 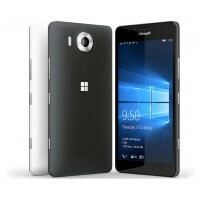 i used lumia 930 for a bout half year, i swapped iphone 5s to lumia, at some point i wanted iphone back because lumia was bigger phone, i did not wanted ever to use samsung because of touchwiz, since samsung is best phone right now, by the best i mean screen and body screen ratio is main thing for me, i did some research how to get rid of touchwiz, and i get samsung s6 edge. i would take 950 lumia any day, its same as ios a bit more modern looking with less useless apps. Yeah, your reply was in no way related to my comment. Wp has no apps and games. IMO, Microsoft needs to ditch Windows OS and adopt and adapt Android. 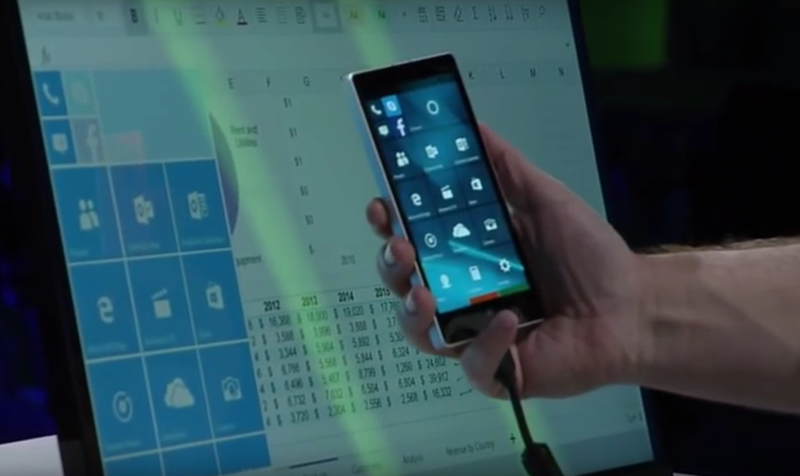 WM 10 has some cool features like Cortana and Continuum, the latter of which I'd love to try. The problem is, and always has been, the lack of apps catch-22. Developers can't be bothered to make apps for WP because of the tiny market share, which keeps WP with a tiny market share because people don't want a phone with no apps. If they could somehow adapt Continuum to work on Android, giving you the ability to use your phone, complete with everything Google and the Play Store has to offer (and other markets, like Amazon), on your Windows PC, that'd be a phone worth owning. Worth spending several hundred bucks on a flagship phone. But a flagship phone with a paltry app selection and limited use is like buying a Hummer to go grocery shopping. If Microsoft wants to continue the Lumia line, they need apps. The apps that people want, need, and use. My local credit union doesn't have a WP app. Popular games that actually get WP ports take forever, and many never reach WP. 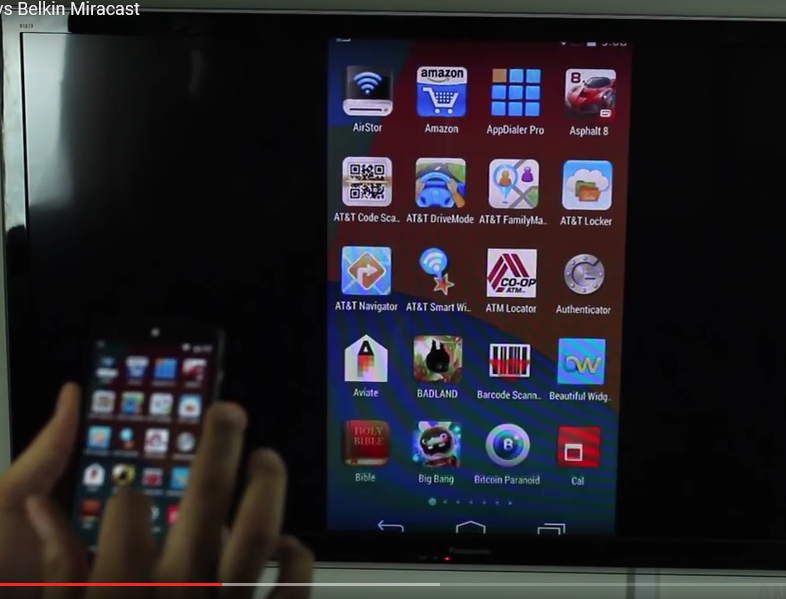 Make Continuum work with Android, and I'll be interested in a Lumia. Beyond that, nobody's going to care about Windows Phones apart from the cheapest ones offered by prepaid MVNOs. What the hell are you going on about. As it stands today you can plug in a USB keyboard and mouse to almost any Android phone. You can also use Bluetooth keyboards and mice. You can also use a Chromecast, Miracast, slimport, mhl, USB-C, and even some devices have HDMI ports built in. Android scales very well and will automatically change the display size to fit the display. No you're not evaluating the market, not all of us like android and the more choices the better. I love windows phone and everything that I need is there so if that's the case there's nothing stopping people like me from getting a lumia. Just no. Choice is best for customers. And there are too many Androids already, I don't want another. Also I'm getting sick of iOS and Android duopoly. Need something new and worthy in the market. If a big company like Microsoft ditches WinMo and jump to Android, then who else will dare to challenge the duopoly? In theory that should be true. But Microsoft has been in mobile for what, a decade and a half now? With their continually slipping market share, massive layoffs and declining phone sales, I'm not convinced they are going to stay in mobile for much longer. At least not in terms of hardware. While it is rude they, as authors, can write whatever they want, even if they're supposed to stay neutral. You are right, but I am sure that most of us do not come here to read "whatever authors want to write". We come here to read facts, preferably displayed in a neutral way, so we can form our own opinions. So the authors should stop writing "whatever they want" if they want us to come back, or disable our dear "Adblocker"
There aren't many reviewers and sites that are supposedly neutral. That has been the reality of news in general for the past 20 years or so, regardless of whether you're talking about tech, cars, or the actual news. What you're saying is true in principle, but not what we have gotten in practice for decades. And people only usually bring it up anyway when authors say something they don't agree with. Note, I said usually. Aside: Really, by definition a review cannot be unbiased since it is that person's opinion about any given product. The only way that wouldn't be true is if they just read you a list of what is inside of a device, what features it has, or what it's made out of. Funnily enough, that is exactly why we have reviewers to give their opinions in the first place since spec sheets don't really tell you what a product is like in reality. This is gonna be skewed concerning BB because they are using Android now. The entire market share shift from 2014 to 2015 is mind boggling. Everybody lost market share except Android. Wow. Given tablet and PC sales in general are declining YOY, I'm not exactly sure that is an apt comparison. The question is how long Microsoft is willing to bleed money on top of the 8 billion they've already lost before they either pull the plug or move to focusing on enterprise. Software is one thing, but I am highly skeptical that in a stagnating market with slowing sales Microsoft is suddenly going to see an explosion in the sales of their phones. I am not at all saying it's impossible. Microsoft is a huge company with enormous resorces and in theory they could turn things around. I'm just saying that is highly unlikely. "...show THAT Microsoft's presence in smartphone hardware is a joke." The "why" is still more ambiguous, and your one line analysis of "the truth" is far from insightful. Are they really being serious with this Microsoft has yet to even take the smartphone serious. They dont care about being the best its just how many devices can run windows 10 core. Market share isn't a concern cause there not trying to compete just like the nexus devices. They letting oems take the lead.